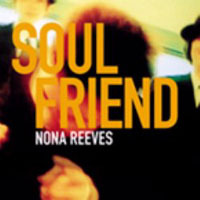 With love and dedication, Nona Reeves play their own interpretation of soulmusic. The special voice of their charming frontman, Gota Nishidera, guides the listener from Hit to Hit, partly with english, partly japanese lyrics, but always with their quality! Like other japanese bands, they combine various music styles, as Pop, Surf, Beat, Easy Listening and Rock. They achieve this musical variety without loosing in it. Live, one can expect a powerful show with funky guitars and soulful vocals. Friday night, soul on. This cd contains what you ever wanted to have from Nona Reeves and more!